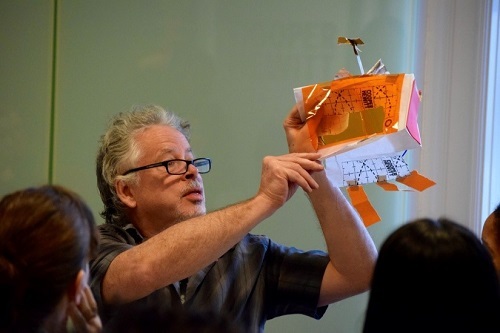 Program participant in Cool Culture’s Laboratory for New Audiences 2.0 participates in one of the program’s workshops. New York City with its widely diverse population is the idealization of the American melting pot. Today, 8.5 million people reside in the city that never sleeps, and according to the U.S. Census Bureau, it continues to be one of the most diverse cities in the world. At the same time, one in five New Yorkers live below the poverty line and have limited resources for enjoying the city’s cultural institutions. For sixteen years Cool Culture has partnered with 90 of New York City’s premier museums, zoos and gardens to provide underserved families access to cultural resources that play a role in helping children succeed in school. Through these partnerships, Cool Culture works with 400 early childhood education programs and public schools in all five of New York City’s boroughs to provide 50,000 low-income families with free, unlimited access to the city’s cultural institutions. Cool Culture realized that to make changes that address the needs of the diverse communities, systemic change would have to come from within institutions. The organization used IMLS funding to help drive that change. Laboratory for New Audiences 2.0 participants. After completing their first Laboratory for New Audiences in 2014, Cool Culture took their methodology one step further by implementing the Laboratory for New Audiences 2.0, a two-year project that continues the movement of equipping museum educators with tools to attract, engage and develop diverse, low-income family audiences while also responding to the needs of these families and their communities. The program is structured to ask the question: how do museums and other cultural institutions play a role in developing children and their curiosities? Candice Anderson, Executive Director, Cool Culture; Margaret Morton, Program Officer, Ford Foundation; Tom Finkelpearl, New York City Cultural Affairs Commissioner; Miguel Luciano, Multimedia Visual Artist; James E. Bartlett, Executive Director, Museum of Contemporary African Diasporan Arts; and Nicole Ivy, Director of Inclusion, American Alliance of Museums, participate in a panel discussion during the inaugural program of the Laboratory for New Audiences 2.0 in September. 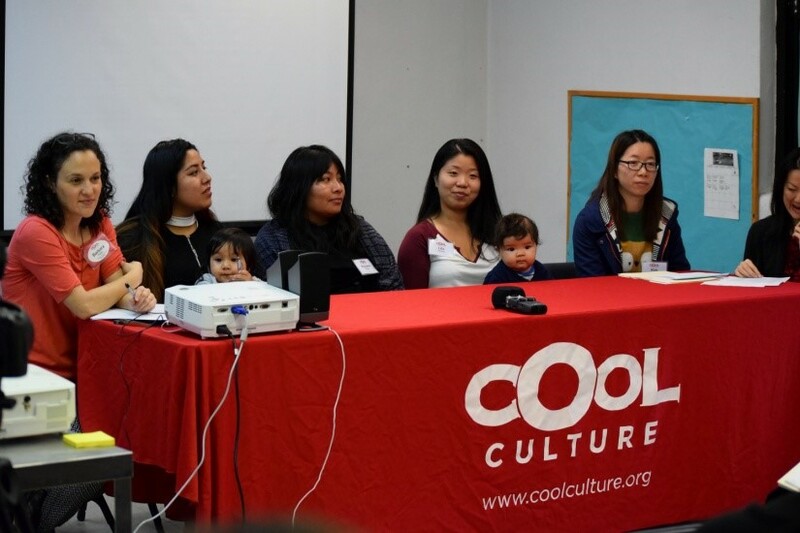 On September 28, Cool Culture launched the Laboratory for New Audiences 2.0 with an inaugural program that featured a panel discussion about the capacity for cultural institutions to address the needs of low-income, culturally-diverse families in an effective manner. 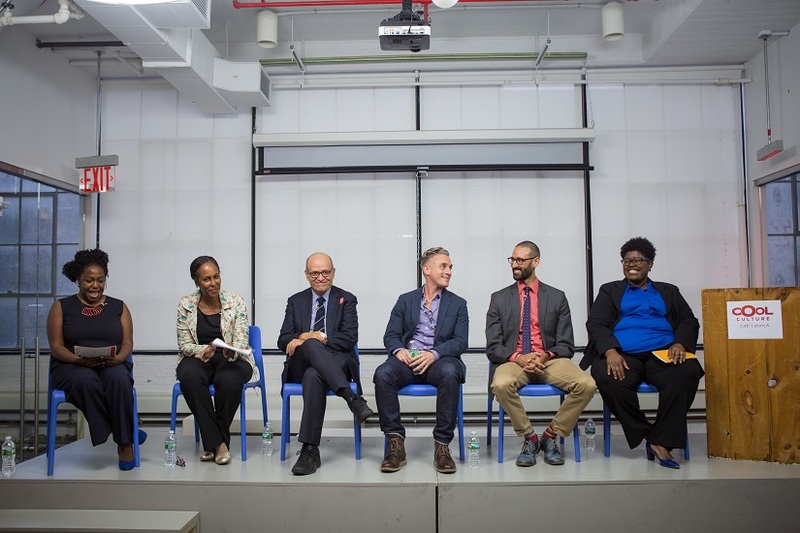 Attended by more than 100 people and viewed via live stream by domestic and international viewers, the launch brought together thought leaders to discuss the impact of social movements on museums and how institutional change can happen in response to social movements by advancing equity through the arts. 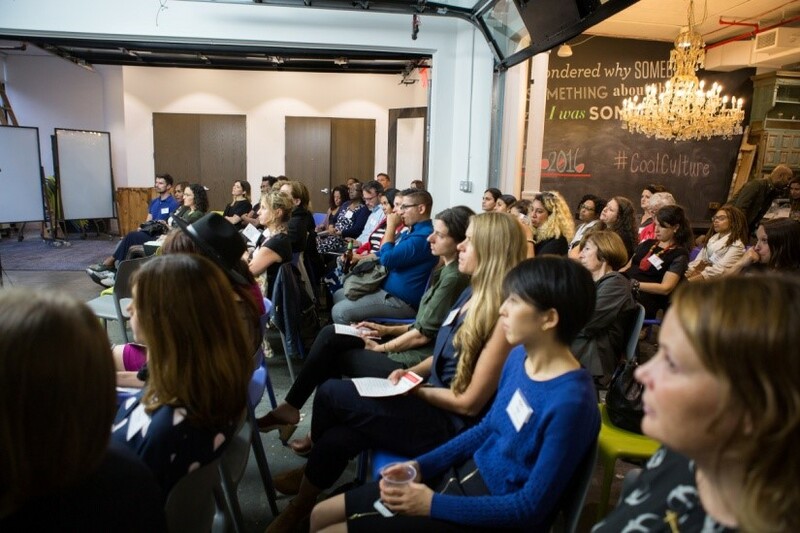 Audience members during the September 28 launch of the Laboratory for New Audiences held in New York City. 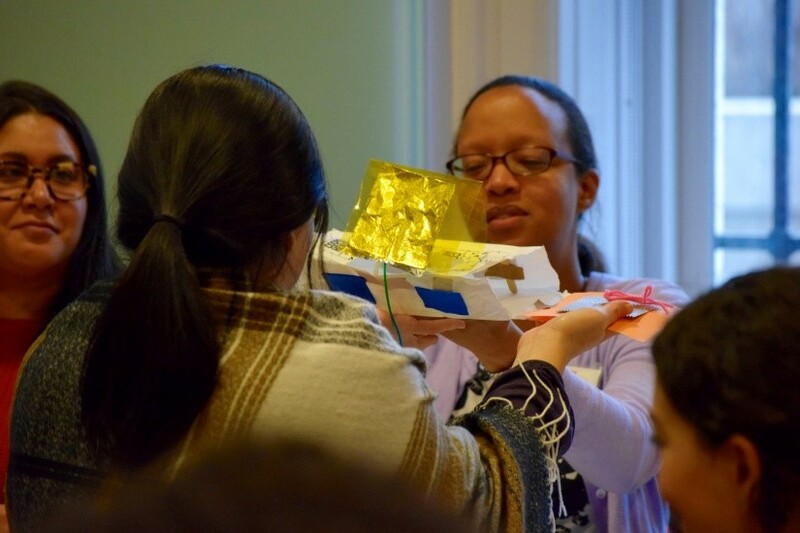 Program participant in Cool Culture’s Laboratory for New Audiences 2.0 participates in a group activity with fellow museum educator participants. After the September launch, 35 selected museum educators from 23 New York City cultural institutions began meeting for a six-part seminar series that further explored how museums might respond to rapid shifts in demographic, cultural, social and political transformations. The six-part series also shed a light on the important role museums and other cultural institutions can play in creating and informing a democratic society. “The lab is meant to broaden conversation about how museums can create a paradigm through which families of color, a historically marginalized group, interact with museums. What we believe at Cool Culture and what the lab is structured to do is to bring people together from all walks of life, adding their expertise to a conversation about cultural equity and participation,” said Anderson. The series encourages these museum educators to work towards systemic change in their institutions by addressing the needs of all community members while also increasing the accessibility of these institutions so that they may play a role in encouraging conversations about diversity and respond to the needs of non-traditional, low-income family audiences. “Systemic change to address cultural equity requires buy-in from the entire institution. We are addressing how museum educators can encourage systemic change in these sessions,” said Lannes. Family Leaders from Cool Culture share their experiences as museum users and community leaders with Lab participants. Cool Culture continues to succeed in bringing more awareness of the social movement it has brought to New York City by encouraging partners to embrace the urgency and relevancy of building a more equitable society through museum resources. It’s a phenomenon that Cool Culture hopes to grow on a national level. In the meantime, Cool Culture is developing a toolkit for those interested in community engagement, family empowerment and advancing the role of museums in forming an effective collaboration to address the culturally-diverse needs of all who take advantage of museums, zoos and libraries.